 ​Johnnie Byrd Brewing Company is Nebraska's first benefit corporation brewery and the fifth overall benefit corporation in Nebraska. We proudly brew and serve our damn fine beer in Wayne, Nebraska. We don't have a huge sales gimmick, just one guiding principle: "We want to brew craft beer that you want to drink, not the beer we think you should drink." We don't want to be the next gargantuan brewery in ​Nebraska. We are a neighborhood brewery and we're happy with that. Our constantly rotating lineup of beer offers our regulars a chance to try something off-the-wall. It’s our goal to change one of our six taps weekly, if not more. Our three barrel (~100 gallon) brewhouse ensures that our beers are ever changing. Make sure to stop back often to find some very unique new brews. For our current line up of beers, click here.